Holidoo is available now in ZooStores. Photo by Woodland Park Zoo. The zoo’s very own Dr. Doo has been hard at work specially crafting a limited edition blend of Holidoo for the holiday season. Unlike the typical Zoo Doo compost featuring manures of nearly two dozen zoo herbivore species, the All Elephant Poo Holidoo is made up exclusively of the “end products” of the zoo’s elephants’ manure and bedding—the biggest and richest composting materials at the zoo. ZooDoo—a work in progress. Photo by Ryan Hawk/Woodland Park Zoo. Got a gardening enthusiast in your life? Holidoo makes the ideal present. Or that person who seems to have everything? Bet they don’t have Holidoo! Holidoo's source. Photo by Ryan Hawk/Woodland Park Zoo. 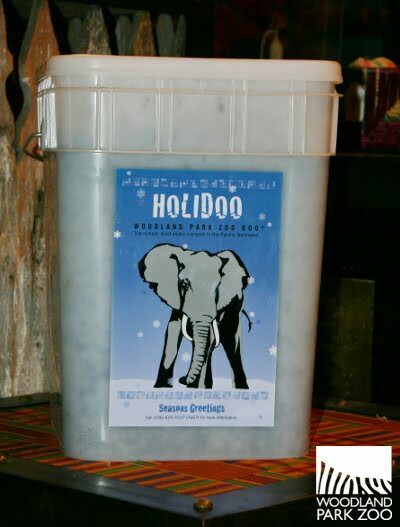 The festively packaged Holidoo product is available exclusively during the holiday season only at the ZooStore in jumbo-sized, 4-gallon containers ($20). Traditional Zoo Doo compost is also available in 2-gallon buckets ($12.95) or pints ($4.95) for stocking stuffers. 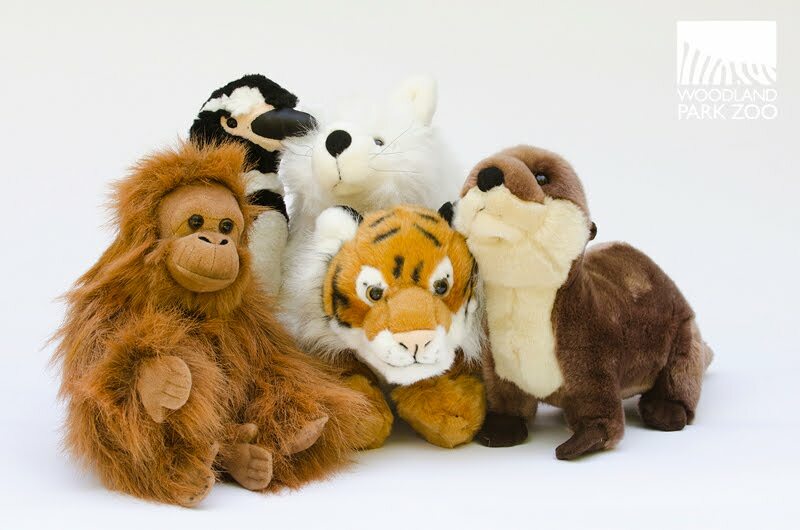 Holidoo and Zoo Doo purchases help support the zoo’s animal care, education programs and conservation efforts all over the world. Hurry, supplies are limited. 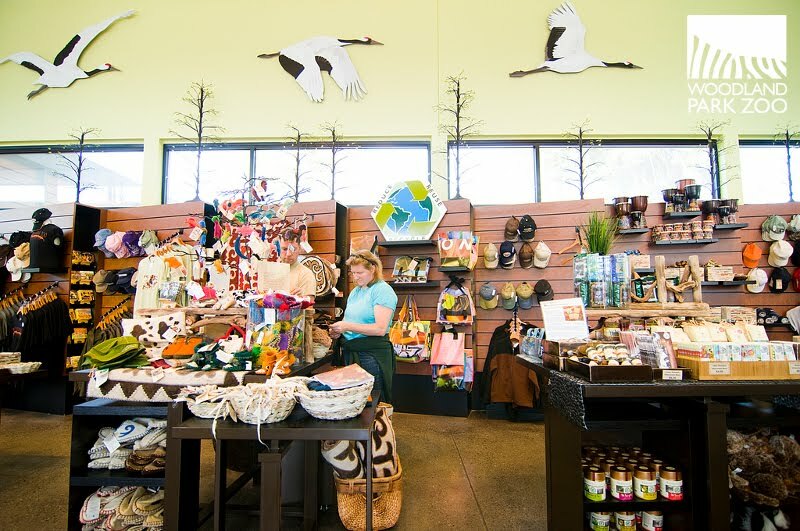 While shopping for Holidoo, be sure to check out the loads of eco-friendly items and conservation commerce also available at the ZooStore, open daily 9:30 a.m. – 4:00 p.m. (closed Christmas Day). To make shopping more convenient for you during the busy holiday season, we’ve expanded ZooStore hours at our West Entrance store. The ZooStore West will be open 5:30 – 8:30 p.m. on the first four Thursdays of December. Parking in zoo lots is free during expanded hours. Five dollars from every ZooParent adoption directly supports the zoo's conservation efforts at the zoo and around the world. Photo by Ryan Hawk/Woodland Park Zoo. Prefer to shop online? Pick up zoo gift memberships and gift cards here or browse the ZooParent adoption deals.